We were experimenting with different ideas for how to represent the third dimension you have access to with the SMALLab installation. 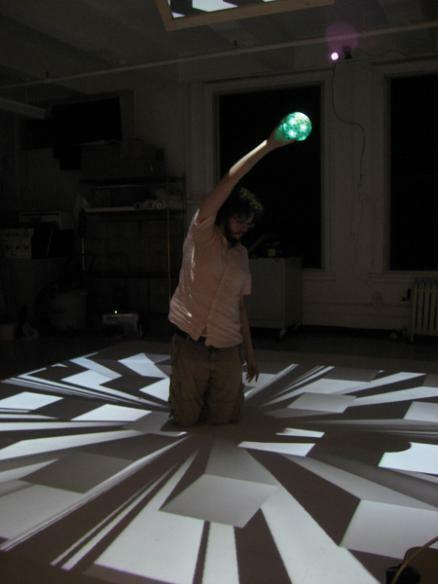 This is a trial using a camera viewpoint that tracks the position of the ball as you move through a space with it. It fools you into thinking that a 3d world is changing at your feet. It's not a perfect solution. It only works for one person, and there are limits to how high you can pretend the Z-axis goes. Still, it's an interesting way of looking at the problem, and it might open more doors later on.